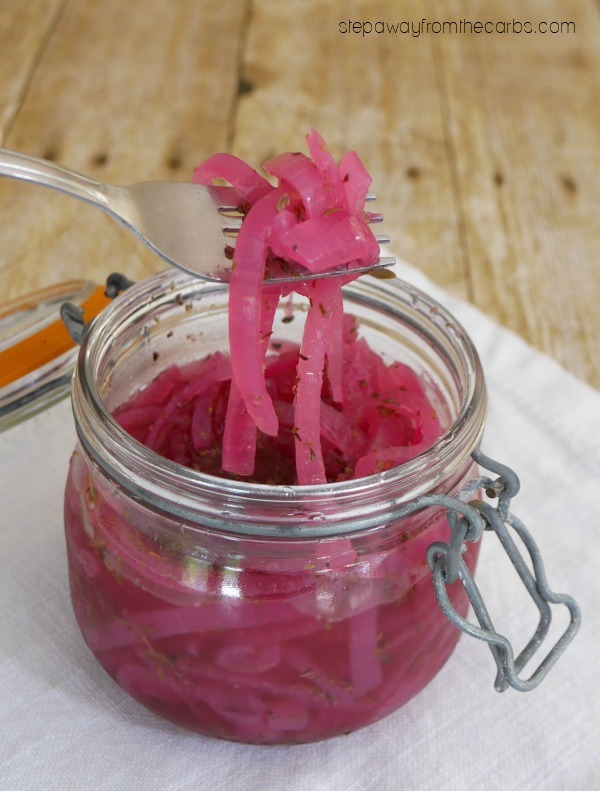 These marinated red onions are full of wonderful Mediterranean flavors like oregano and lemon. 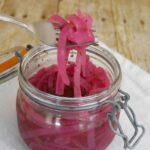 This zingy condiment is so easy to make – just prepare it the day before you need and it’s ready to go! 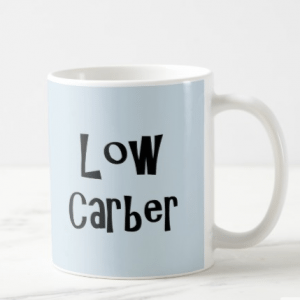 I’ve always loved Mediterranean cuisine as my husband and I used to vacation in Greece when we lived in the UK. 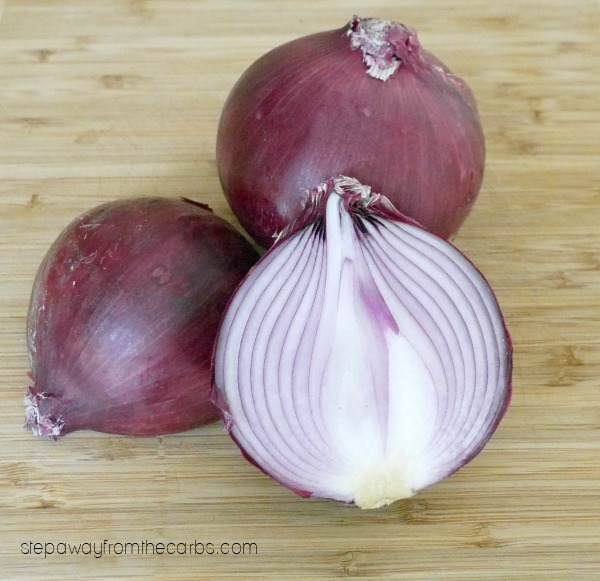 The moussaka, the Greek salad, the chicken souvlaki, the baked shrimp with feta… And I love red onions, too – but I find that raw ones can sometimes be too strong. By marinating the onions it softens them in both texture and flavor. To prepare the onion, halve it, remove the skin, and then slice it thinly. Place them in a saucepan, cover with water, and bring to the boil. Continue to cook for five minutes, then drain and let cool. But after sealing the jar and leaving them in the fridge overnight, they look like this! I assure you this really is the same batch of onions! 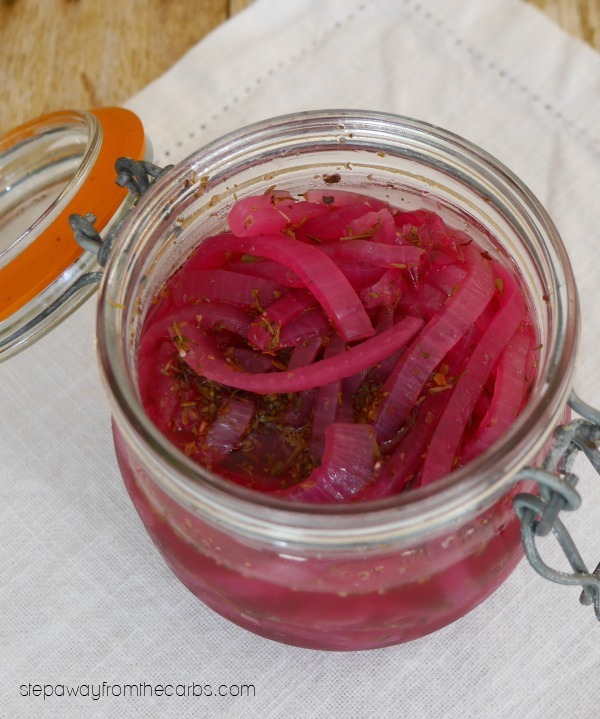 Store the marinated red onions in the fridge. 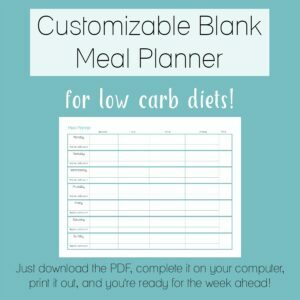 You could add a few onions to low carb wraps, steaks, fish, salads and more! 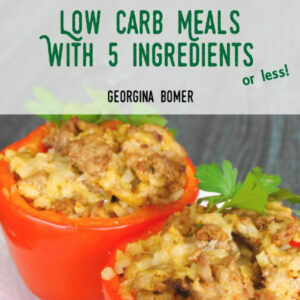 They are also a key component to my Low Carb Greek Lamb Burger! 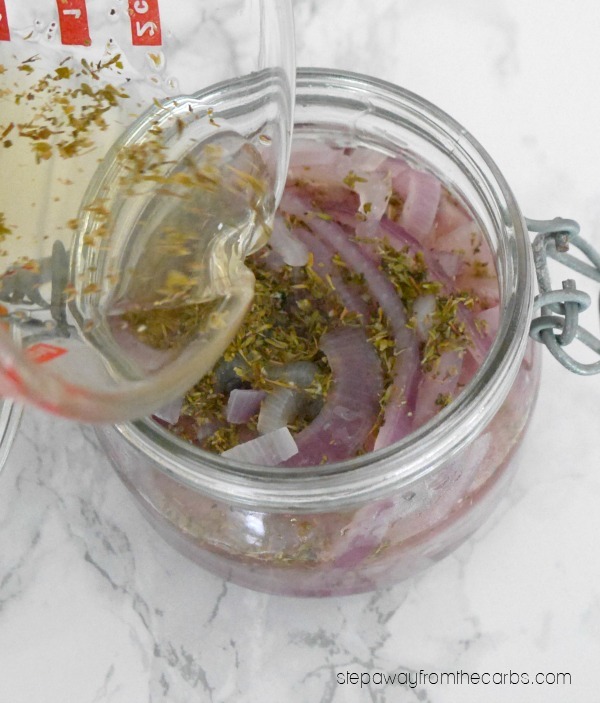 These marinated red onions pair perfectly with grilled fish or chicken - or you could add them to salads or wraps! Peel and halve the onion, then cut into thin slices. Place them in a saucepan, cover in water, and bring to the boil. Cook for 5 minutes, then drain and let cool. 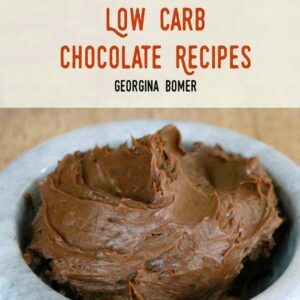 Mix the remaining ingredients together and stir well. Place the onions in a container, and pour over the vinegar mixture. Leave to marinate overnight. Store in the fridge. Recipes where a marinade is involved are always tricky to work out accurate nutritional data. On this occasion, I have included all ingredients apart from the vinegar which has been halved.